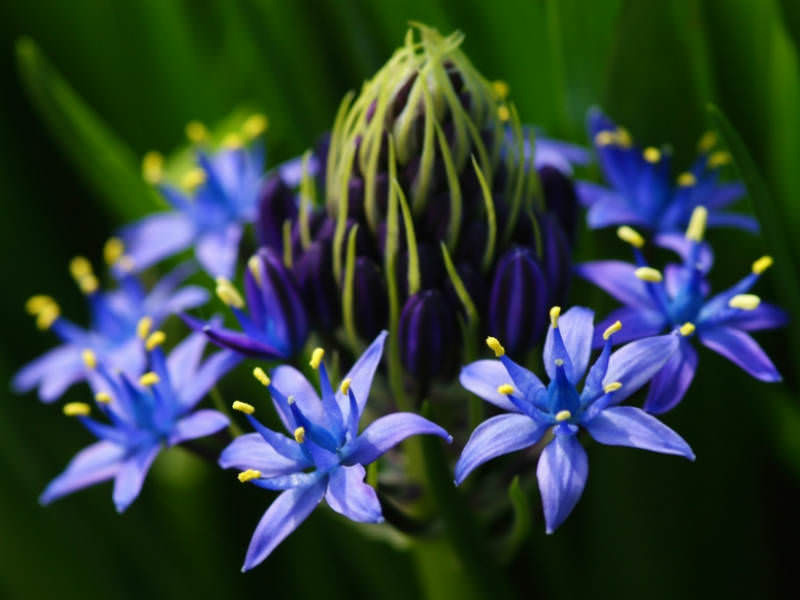 Scilla peruviana is a bulb-bearing, herbaceous perennial plant. Leaves are dark green, strap-shaped, up to 2 feet (60 cm) long and up to 1.6 inch (4 cm) wide. Flowering stem is up to 1.3 feet (40 cm) tall, bearing a dense pyramidal raceme of 40 – 100 flowers. 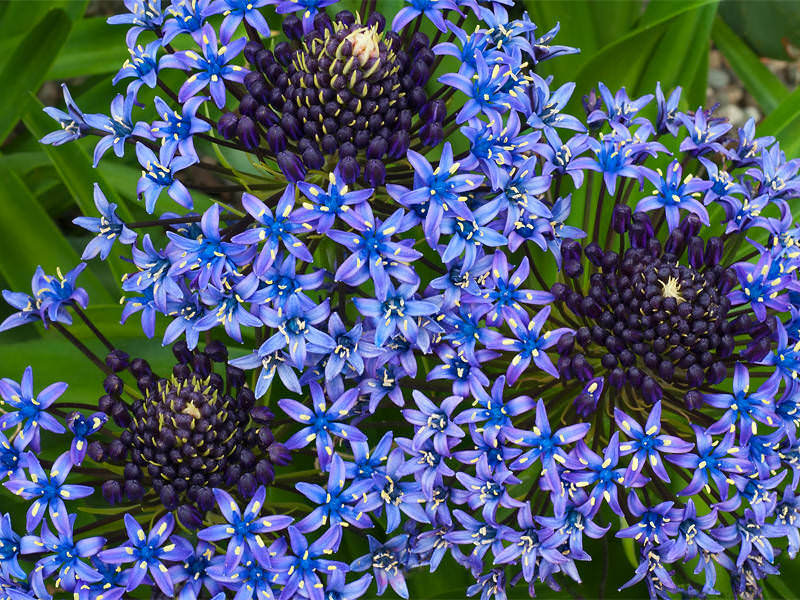 Each flower is blue, up to 0.8 inch (2 cm) in diameter, with six tepals. Bulb is up to 3.1 inches (8 cm) in diameter, white with a covering of brown scales. Scilla is adapted to full sun or dappled shade and likes well-drained soil. 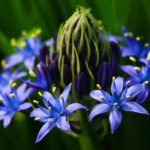 It naturally grows in rocky wooded areas, so it is just at home in dryish semi-wild parts of the landscape as it is in a rich, moist garden bed. Bulbs should be planted in fall. 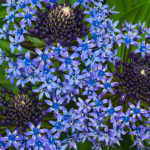 Plant the bulbs in loose soil three to four inches deep and 8 inches (20 cm) apart with the tapered end pointed up. 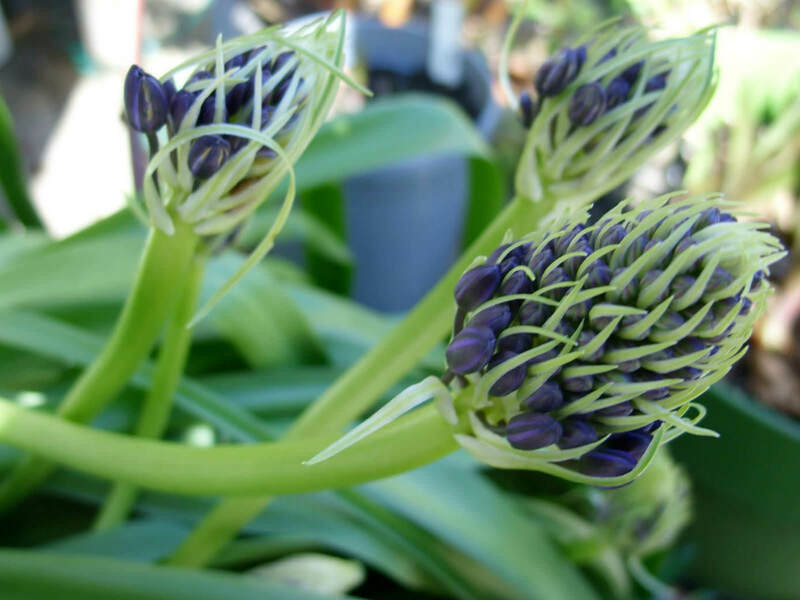 Scilla should receive regular water during the spring flush of growth. However, since the weather tends to be cool and moist during this time, it is generally not necessary to irrigate. 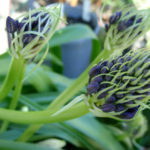 In fact, it is important to not over water, as the bulbs can rot. 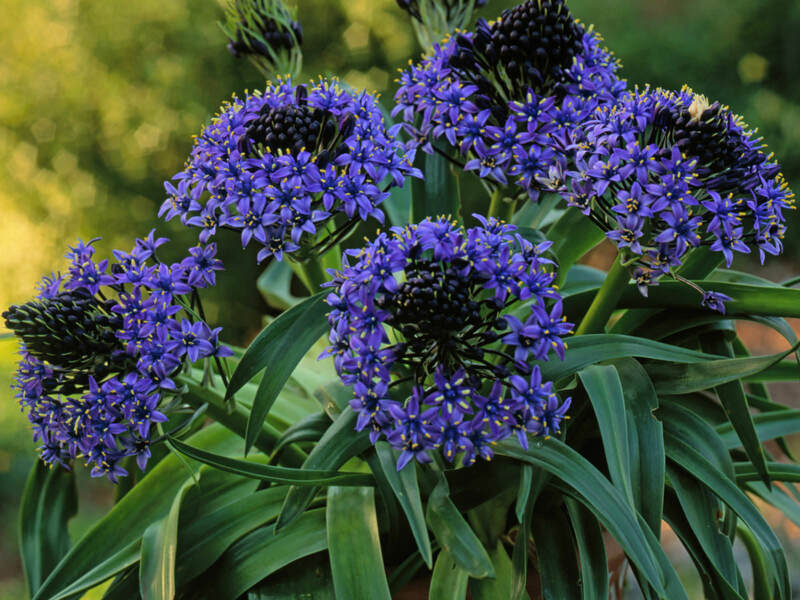 Native to the western Mediterranean region in Iberia, Italy, and northwest Africa.